Gate Repair is needed just as frequently as regular garage door repairs and this is the best place to meet your gate repair needs here in Orange. 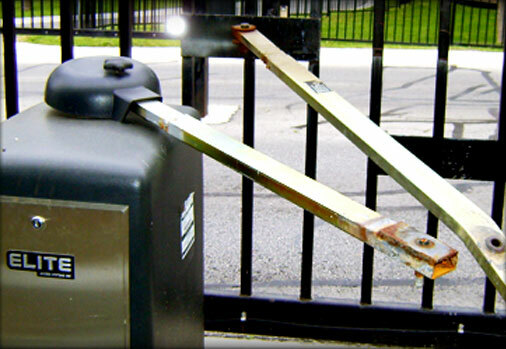 Our gate repair services are top-notch and will certainly provide your gate with a long and lasting life. With 15 years of experience up our sleeve, we can guarantee that we will tackle any problem that you throw our way. Whether you make use of a roller gate or an electrical one, we have the expertise to handle it all. A well-chosen gate enhances the aesthetic appeal of your home. Nowadays, gates have better designs and are elaborate thus they possess a certain finesse in all their simplicity. Gate repair is not needed very often but it does arise from time to time. If your gate is well maintained, you will probably not face this issue. However, most people tend to install their gates and then leave them without a second thought. This is why a lot of problems tend to surface. When this happens, you should simply call in the experts. With all the latest tools at hand, we will handle it for you and get it sorted out as soon as we possibly can. Though it may seem like gates give a lot of problems, this is not really the case. With proper maintenance and regular checkups, your gate can continue to last for years, without giving you any trouble. However, you should get your gate inspected at least twice a year to make sure every part is working well and functioning smoothly. What Makes Our Gate Repair Service in Orange the Best in Town? A well-trained staff - The most important factor that we have to boast of is our professional, in- house staff who is always present to attend to your needs. Irrespective of whether you find yourself stuck in the garage after returning from a party in the late hours of the night or if you suddenly realize your gate is jammed in the early hours of the morning, we provide 24/7 services and thus will always be there to come to your aid. But that’s not all. Our professionals possess all the necessary certification and are license and bonded. So no matter what trouble your gate is giving you, you don’t have to wonder if we will be handling it. You can be sure that we will. Regular maintenance checks – Since we like to make sure that our products are functioning properly, customers can always avail of our maintenance services to keep their gates in check. Making sure we do a thorough sweep of every component of your gate system, you can be sure that our gate repair job will get everything working as good as new. Can handle all brands - We are familiar with the different brands that provide gates in the markets thus tackling any issue will be a piece of cake for us. We undertake the installing of gate operators as we all know how complex it can be to tackle this alone. Some of the top names of gate operators that we have worked with include DKS, Eagle, All-O-Matic, Apollo, BFT, Challenger Allstar, Ramset, GTO, FAAC and Elite. Efficient service - With a response time of 45 minutes to every call we receive, if you have any problems with your gate, our gate repair team will be at your doorstep in a jiffy to attend to it. We usually move around with all our equipment and tools so if the problem can be addressed on the spot, we certainly will. So get in touch with us at (657) 223 -7021 and we will respond immediately and address your gate repair needs in Orange as soon as possible.